Born in the Soviet Union, in what today is Belarus, and immigrated to the U.S. when he was three years old. Grew up in a studio apartment in Queens, New York alongside eight other family members and later moved to Edison, New Jersey. Says he started being entrepreneurial at six years old—he operated a lemonade stand franchise, shoveled snow, traded baseball cards, and more. Attended the Mount Ida Campus of UMass Amherst where he received his bachelor’s degree. After graduating college, took over his family’s retail wine business, re-named it the Wine Library, and began selling their products online—grew the business from $3 million to $60 million a year. In 2006, started Wine Library TV, a daily video blog on YouTube covering all things wine—its success helped launch his massive online following. 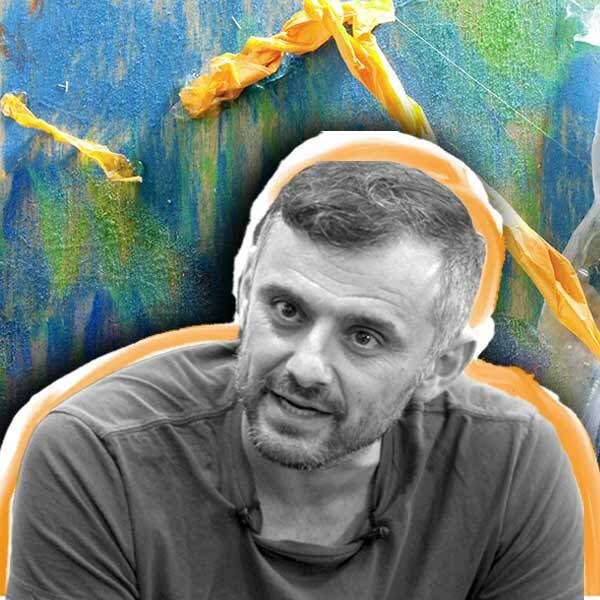 Left the family business in 2009 and with his brother started VaynerMedia, a social media–focused digital agency, that is now a multi-million dollar company. As a serial entrepreneur, he owns multiple media and lifestyle companies but is also a speaker, author, and vlogger/podcaster for the #Dailyvee and #AskGaryVee shows. I am a serial entrepreneur, investor, best-selling author, speaker and internet personality. More than anything, an entrepreneur has to be able to deal with rejection. Knowing how to deal with adversity is super crucial. To a certain extent, you also have to love losing. Utilize the tools that social media has available. Understand how you communicate best (written, video, audio, etc.) and use the tool that works best for your skills. Be kind and respectful, but always tell the truth (even if it might come off as brutal). People tend to freak out when they get to 18-20 years old because they think they have to have everything figured out. You don't. You have plenty of time to get it together. Take this time to explore and find the things you like and are good at. You can focus and double down on those things later in life. For the first 25 years of my life, by the standards of the time, I was considered a failure. I was failing school and wanted to focus more on my businesses and making money. People just didn't get me. However, facing that doubt was the best thing that ever happened to me. Embracing that adversity and making it my foundation has made me who I am. I was born in the Soviet Union and immigrated to the U.S. when I was very young. We initially lived in a studio apartment with 8 other family members. Growing up we didn't have a lot. I definitely come from humble beginnings. I've been starting businesses from the age of six, but I've never been motivated by money. I'm more motivated by the end result. When I was in middle school and high school, I got pretty bad grades because I was more focused on my businesses. I was looked down on because I didn't take school seriously.